The hinges are in .. 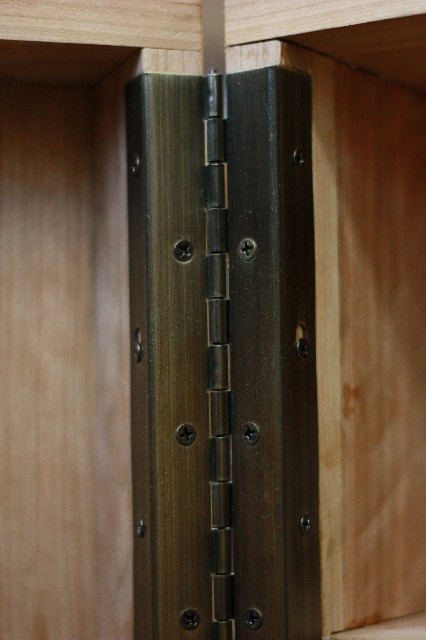 I installed the wrap around piano hinges that will hold both the clamp shell doors. Thanks and yes they we're pretty easy. All that's left is putting together the drawers .. I'm so excited. Hopefully, the final blog post next week.On my to do list tonight – Watch Shannon's 4th installment on the tool cabinet. 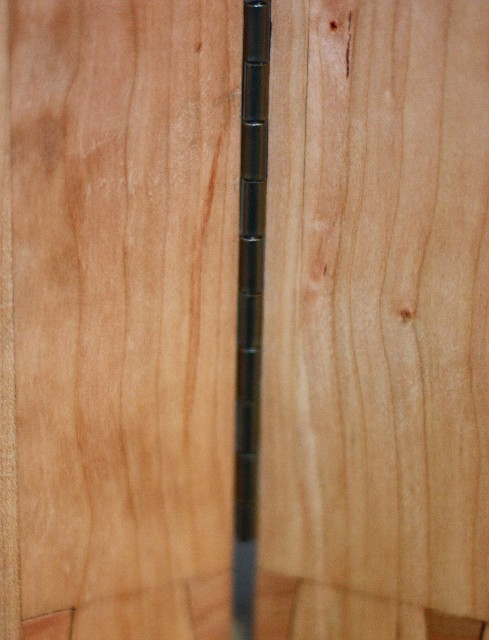 I like how those hinges register on the edge, nice find. Looking forward to this coming together! Thanks, Marc Spagnuolo (http://thewoodwhisperer.com/) suggested those. I took the extra step and made a small mortise to have them sit flush so as not to interfere with my drawers. So far, it seems to be working out.Thanks for commenting and sending your blog link along. I hadn't found yours yet and it looks fascinating.